The new Russia Direct issue – “National Identity: The 25-Year Search For a New Russia” – takes a look at the elements that constitute modern Russian national identity in an effort to better understand Russia’s current actions on the global stage. 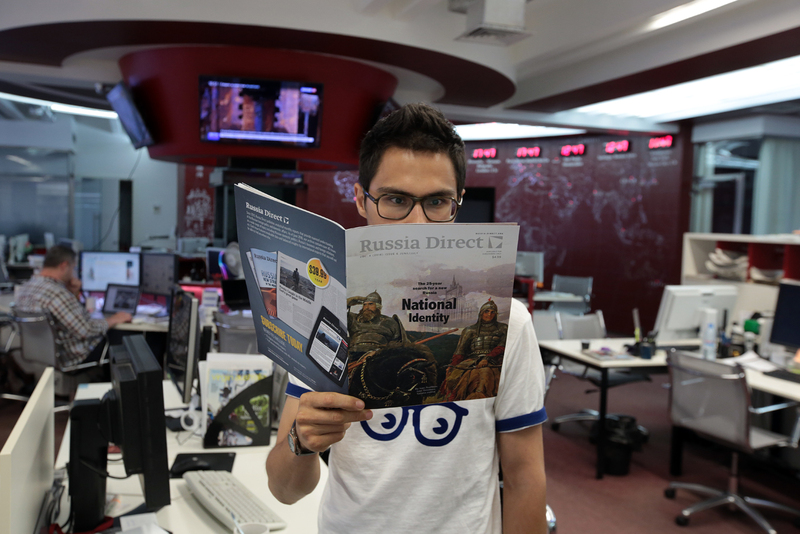 The new RD issue takes an in-depth look at the evolution of Russia's national identity. In the 25 years since the breakup of the Soviet Union, Russia has searched persistently for its modern national identity. Each new leader – from Mikhail Gorbachev to Boris Yeltsin and now Vladimir Putin – has inspired anew a rethinking of what Russia means today. As part of this journey, Russia has sought out aspects of its Soviet past to keep, as well as aspects to discard. It has debated the role of the political elite in imposing national identity from above, as well as the role of regional conflicts in creating identity. And, most importantly, Russia has asked to what extent it should embrace Western trends and values as part of its national identity. The new Russia Direct issue – “National Identity: The 25-Year Search For a New Russia” – takes a look at the elements that constitute modern Russian national identity in an effort to better understand Russia’s current actions on the global stage. The issue includes a historical look back at the three major periods of Russian national identity formation in the post-Soviet era; a review of the dynamic tension that has always existed in Russia’s relationship with the West; and a summary of the major elements that comprise Russia’s current national identity. What is the current level of patriotism in Russia? How do Russians see themselves in the changing world order? Download the new Issue and find out.